M-Audio’s M50 headphones feature powerful 50mm drivers for outstanding performance that is totally unexpected at their modest price. They feature a comfortable over-the-ear design with great noise isolation, ideal for long hours in the studio monitoring your mixdown tracks. With their wide-ranging 28–20kHz frequency response, the M50 headphones deliver the detail and precision needed for every musical style. The leather cushioning on the flexible headband and ear cups provides a fatigue-free listening experience for even the longest-lasting, most demanding sessions. The detachable cable is 6 ft. (1.8m) long and includes a ¼-inch adapter for compatibility with all equipment. 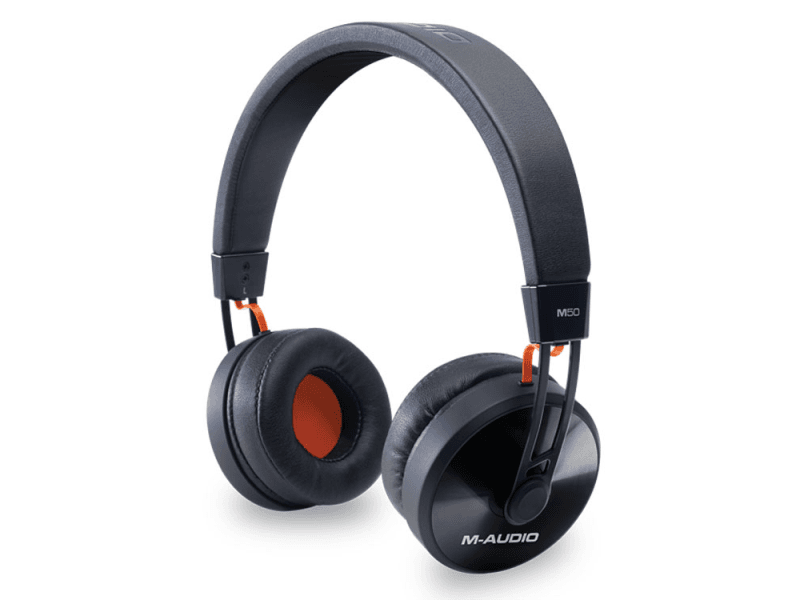 The M50 brings M-Audio’s industry-leading studio monitor engineering to personal headphone audio.